The evening was special for the couple as Priyanka formally introduced Nick Jonas to her family and media. For all those who thought the wedding fever and celebrations in the entertainment industry is over, here is another one. Bollywood actor Priyanka Chopra and American singer Nick Jonas hosted their second wedding celebration in Mumbai on Wednesday night. The reception was held at JW Marriott in Juhu and was hosted by Priyanka’s mother Madhu Chopra. The newlyweds who stepped out to pose before the shutterbugs couldn’t just stop blushing. 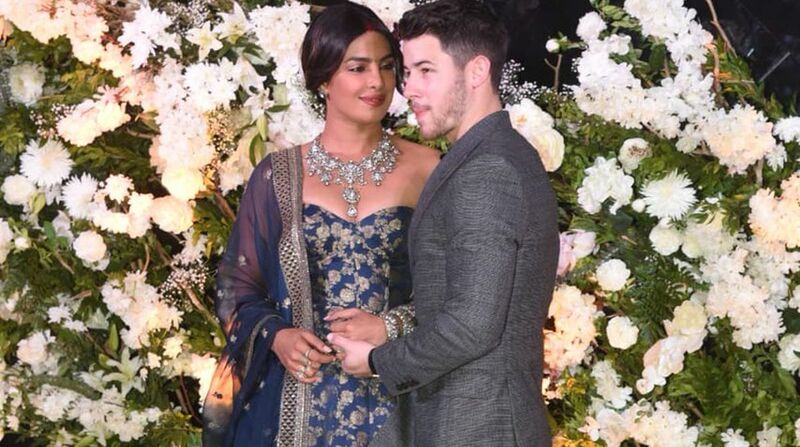 While Priyanka looked gorgeous in a blue strapless custom-made Anarkali by Sabyasachi, accessorised with a huge diamond necklace, Nick complemented her in a black and grey suit. The evening was special for the couple as Priyanka formally introduced Nick Jonas to her family and media and was all smiles as she addressed him as “my husband”. Priyanka and Nick came down hand-in-hand with a huge smile spread across their faces. 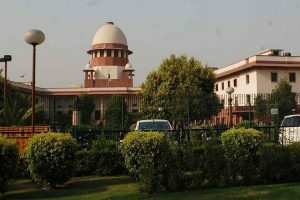 The pictures and videos have flooded the social media. Check them out here. Priyanka addressed the media persons and expressed her gratitude and warmth for all the love she has received. Today, the newlyweds will be hosting a wedding reception for the entertainment industry friends and it’s going to be a truly star-studded affair. Priyanka Chopra and Nick Jonas tied the knot on December 1 and 2 at Jodhpur’s Umaid Bhawan Palace following both the Christain and Hindu traditions.